In this Article, We will have a detailed review of Axis Direct Mobile App. We will get to know about its Features, Set-up process, advantages & more. Lets have a detailed analysis of Axis Direct Mobile Trading App Now! One of the most prominent stock brokers in India which are bank based are Axis Direct. However, this platform surely needs to be improved in terms of its performance, maturity and user’s experience. One of the most prominent features offered by Axis Direct Mobile App is that this app can be managed using command based on voice. This mobile app is free for Android and iOS users. You can just open the play store, access the mobile app from there and download and install it on your mobile within minutes. Once this is done, then you can get access to the login based guest features by default and if you are a client of some broker, access would be easily granted to you for all the features provided by this app. The different aspects of Axis Direct like its advantages and disadvantages and top features and configuration are discussed further to help you take your decision why you should use this platform for trading. 1). You can get access to domestic and international markets like equity, commodity and currency besides Marketwatch, charting and much more. 2) You can track your portfolio by using this app. 3) You can also stay updated on all your investments. 4) You can get access to real-time streaming quotes while trading on your screen. 5) You can also create multiple customized streaming watchlists. 6) Intraday charts can be accessed in order to track the movements of the market by the minute. 7). With just a click, you can access your holdings in Demat. 8). Market orders can be placed even after the market is closed. 9). 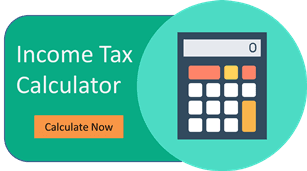 The available limits and total margin can be checked out. How to set up Axis Direct Mobile app platform? Once you open the Account with Axis Direct you will receive a client id & password along with it. If you are Android user, please go to Google Play Store & if you are a Apple IOS user, please go to Apple App Store. This is the entire Axis Direct Mobile App Set-up Process. How To Own Axis Direct Mobile app platform? 2rd Step – Fill up your Name, Mobile No. & City 7 Submit the Information. Get Started with Axis Direct Account Opening Process by clicking on the “Open Demat Account” green button & you will also get some really amazing offers, if you sign-up right away. All the benefits can be availed of fully-fledged trading software in a very fast and light applet. You can invest and trade across different segments with the help of this app including currency, equity, derivatives, and mutual funds and so on. By using this app, you can add multiple market watch lists. With minimal basic features, you can login as a guest without even opening an account with Axis Direct. 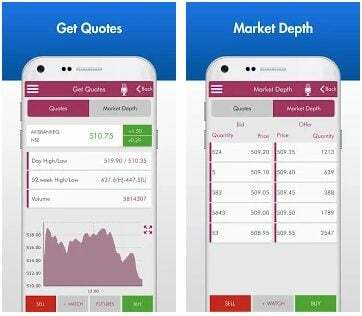 You will be provided with different tips, recommendations, and research reports by this mobile app in order to provide you with technical and fundamental analysis since Axis Direct is in the category of full-service stockbroker. The news data feed is delayed sometimes. By using Axis Direct mobile app, you cannot invest in commodity segments or IPOs. On a timely basis, few login related concerns are observed. Windows and Blackberry platforms do not support Axis Direct Mobile trading app. This app has limited charting functionality with a very low usage for analysis. Axis bank is known to be a very trustable brand in the financial industry of our country. The banking services provided by them have been around for a while and they have created a stock-broking space for themselves. For the new users who find it difficult to trust on the stockbrokers Axis securities is the name to be trusted. They are known for providing with decent research and trading platforms. Axis Direct Mobile App can also be used by the clients who are registered with AxisDirect.in. This app is slow on updating on real-time automatically and needs to be refreshed manually every time. Connectivity error is also shown by it many times. So, before choosing this platform for trading one should go for a thorough analysis and the pros and cons of this platform and then take a decision on whether to trade with it or not.